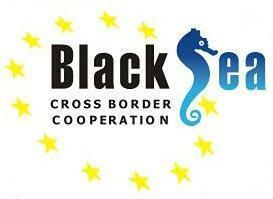 “Black Sea Basin” 2014-2020 is a joint operational programme for cross-border cooperation funded by the European Neighbourhood Instrument (ENI). The overall objective of the Programme is to improve the welfare of the people in the Black Sea basin regions through sustainable growth and joint environmental protection. The territorial scope of the Programme covers 10 countries – Bulgaria, Greece, Romania, Turkey, Armenia, Azerbaijan, Georgia, Moldova, Russian federation and Ukraine – with their entire territories or regions at NUTS II level or equivalent. Financing is provided by the European Neighbourhood Instrument, the European Regional Development Fund and the Instrument for Pre-accession Assistance. The Programme’s budget is MEUR 53.9. The Programme has two specific objectives: “Promote business and entrepreneurship within the Black Sea basin” and “Promote coordination of environmental protection and joint reduction of marine litter in the Black Sea basin”. The Programme has four priorities: “Jointly promote business and entrepreneurship in the tourism and cultural sectors”, “Increase cross-border trade opportunities and modernisation in the agricultural and connected sectors”, “Improve joint environmental monitoring”, “Promote common awareness-raising and joint actions to reduce river and marine litter”. The main types of beneficiaries are local / regional authorities, public legal organisations (legal non-profit public benefit, academic and educational institutions, etc.) and NGOs.